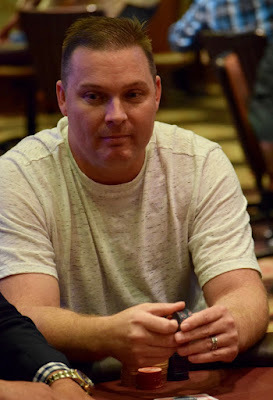 Shawn @Sac_Poker Roberts is the first player to reach the six-figure mark in today's $30,000 Guaranteed Event 1 in the $100k Series. Roberts - at 102,000 - is about 15BB clear of the field as JohnQ breaks a table, bringing the field down to 45 players. Roberts has the only dominant stack after 11 levels of play. There's a handful of players in the 60-70k range, but nobody else approaching teh 100k mark at this point.